Manual Drive fixtures by Circuit Check are the choice for low volume testing, or when component cooling cannot be dissipated in a vacuum fixture. 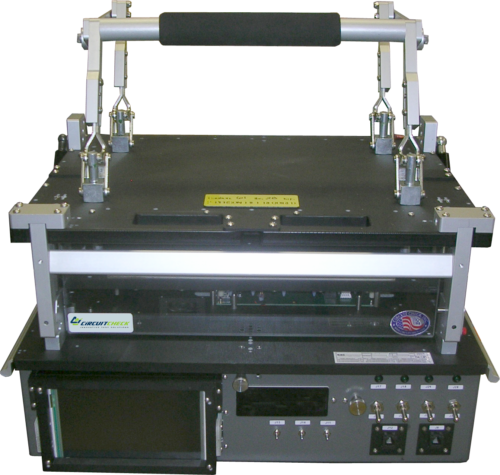 Circuit Check mechanical fixtures can be configured for in-circuit test or as a functional test fixture. 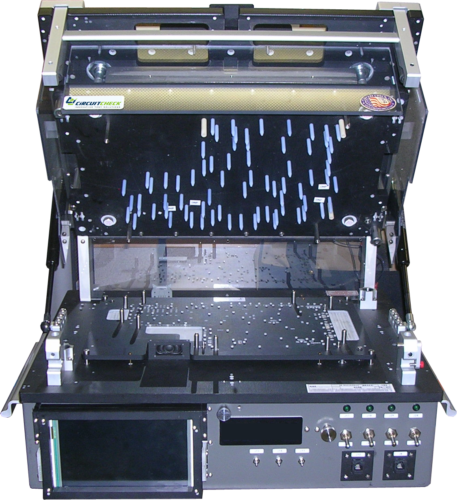 Tall components on either side of a circuit board, as well as multiple manual side access’s, are supported with our manual drive fixtures. In addition, since our manual drive fixtures are based upon our pneumatic drive architecture, top side probing is also supported. The Circuit Check Linear Drive Gate is a hybrid of our mechanical hold down gate and our manual drive, while packaged in a lower profile. This smooth actuating design is useful for low probe count circuit boards or for testing where light pressure is required to hold a UUT.